My badass friend Tichea Brade is bringing you beautiful woman an epic 7 hour day retreat in London on Saturday 30th March 2019. 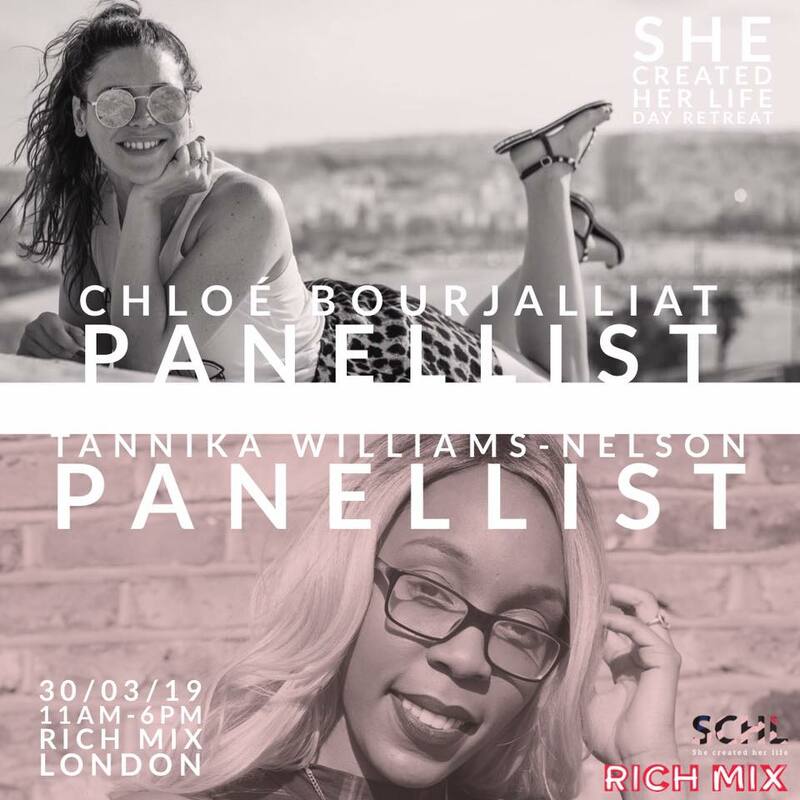 She has 7 interactive motivational speeches, 4 wonderful creative workshops and 3 super powerful dance workshops and 5 amazing entrepreneurs for a panel discussions to INSPIRE, MOTIVATE and EMPOWER you to create a life you love. And I’m one of them!!! “She Created Her Life” 1 day Retreat. Empowering professional women to get unstuck, discover what they really want and create a life they love. This event will open dialogues through panel discussions, Dance the stress away through Empowering classes and allow you to open up and form deeper connections through intimate workshops. But most of all it’s about build a community with like minded women. PS: Mention my name when you buy your ticket and I’ll give you a free coaching session!! COME MEET ME ON MARCH 30th AND LET’S CONNECT! WATCH THE PROMO VIDEO TO SEE WHAT TO EXPECT!